Spending the past week in Corsica reminded me of just how quirky the French are. The wife and I had been enjoying a pleasant drive in the Audi, first enjoying the flowing speeds of the main roads on the island, before heading inland where a they take a charming adaption of a single lane road. With a simple line of white paint down the middle, the road is now clearly two lanes and drivers need not worry about people drifting over to their side. Small detail then, that the roads are approximately 1.5 cars wide - so it felt like a bit of an adventure each time we approached a blind corner. Nevertheless, we gingerly drove around each corner without incident and stopped frequently to take the dog on a little hike, and swim in the gorgeous rivers that wind their way through the mountainous Corsican countryside. Eventually we grew hungry and ventured further on until the road came to an end, and there lay a little restaurant. I didn't need to consult with my pregnant wife, simply driving straight there and popping my head inside to check if they were open. I was confronted with a nice little room with a bar in the corner, and four people sat about having a chat. After enquiring if they were serving food and receiving a grunt to denote the negative, my wife walked in and I gestured to her as I said "Anything at all? She's really hungry". Nope. The bottle of wine in front of them was the priority, and they would serve food in an hour and a half. Now I understand if perhaps they were waiting on the chef before serving, I get that - but I just know that anywhere I would go in say, Australia or England, you would have someone saying "Sorry love, can't do the full menu yet but shall I do you a quick grilled cheese or a heat up a bowl of soup?". So we turned around, chuckling silently at how stubborn the French can be (lest my irritated wife hear me) and drove home to have a barbecue at the house we had rented. Not such a bad move when the view is like this. Although I might have my reservations about them, what I loved is just how loyal the French are to their own marques. Peugeot, Citroen and Renault positively dominated the roads, all fairly unremarkable examples it must be said (they don't seem to have much of an enthusiast driving culture) but the percentage must have been close to half of the cars on the road, very much the French vs the rest of the world. So I decided that on my return, I would pay homage to the patriotism shown by them with a post on a French car. One of my favourite examples of how that French quirkiness can actually benefit the world has to be this iconic partnership between Alpine and Renault when they created the A110. If you are not entirely familiar with the name Alpine in the automotive world, let me give you a quick background. Founded by Jean Rédélé in 1954, Alpine came into being due to Jean's penchant for racing and modifying Renault cars. He would lighten their cars through the use of aluminium and swap out transmissions to replace those he was not satisfied with for track duty. 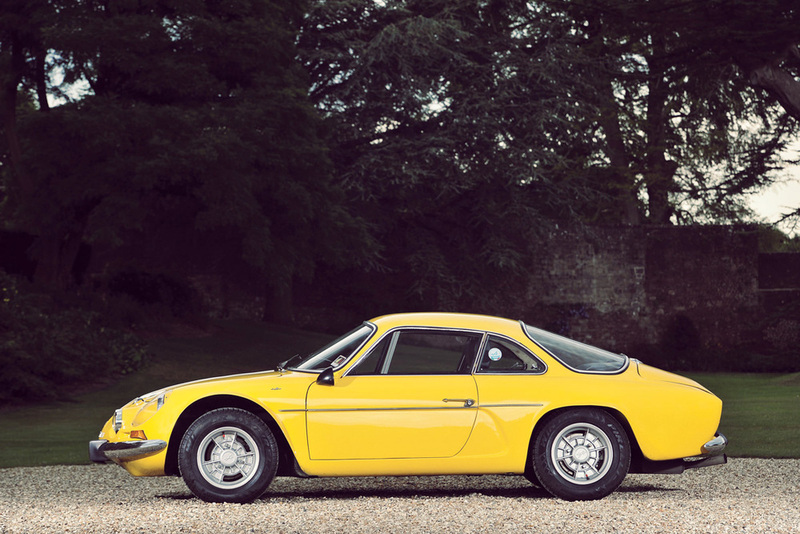 His reputation grew and his relationship with Renault blossomed, to the point that Alpine was eventually acquired by Renault in 1973. 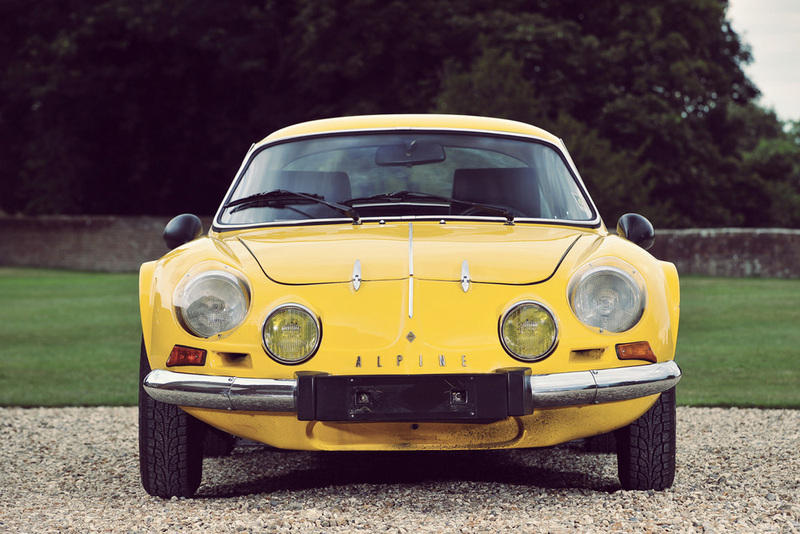 Now the A110 was in production from 1961 until 1977 (an unusually long production run) - so that meant that really, the A110 was all Alpine, the only due to the sale of the marque to Renault was the name itself. Unconventionally beautiful, the A110 captured my imagination since I first read about it years ago. 700kgs/1540lbs - that's all this lithe little thing weighs dresses in its lightweight fibre glass body. Perfectly suited then, to European rally stages where it would go on to win in the '71 Monte Carlo Rally with a 1-2-3 finish, and then repeated this feat in '73 on their way to taking the World Rally Championship outright. Renault's rear-engined 89hp 1.3-liter inline four-cylinder was all it needed to easily run to its top speed of 180km/h and by all accounts is simply exhilarating to drive in its featherweight simplicity. The fibre glass bodies don't tend to age well, but personally this is a non-issue. I'll take mine rough around the edges thanks, cars like this were never intended to be shown on finely manicured gardens of concours events - they were made to be driven hard, and to make you smile. Photography comes courtesy of the talented Tim Scott, and you can view the RM Auction listing here, where it goes until the hammer tomorrow, with a guide price of £40,000 - £50,000.